How much do Bulls suites cost? 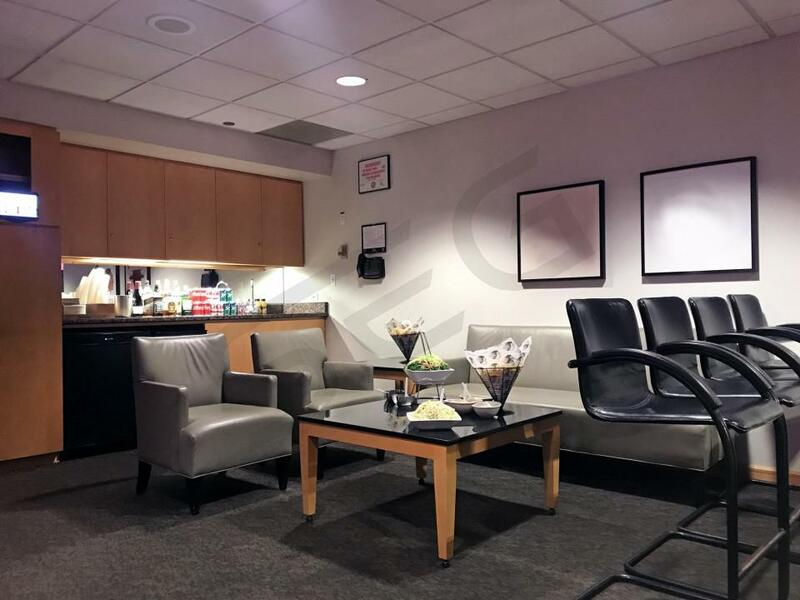 Prices typically range from $3,500 - $6,500 for Chicago Bulls suites. Suite prices will vary based on day of game, opponent, and the location of the suite. 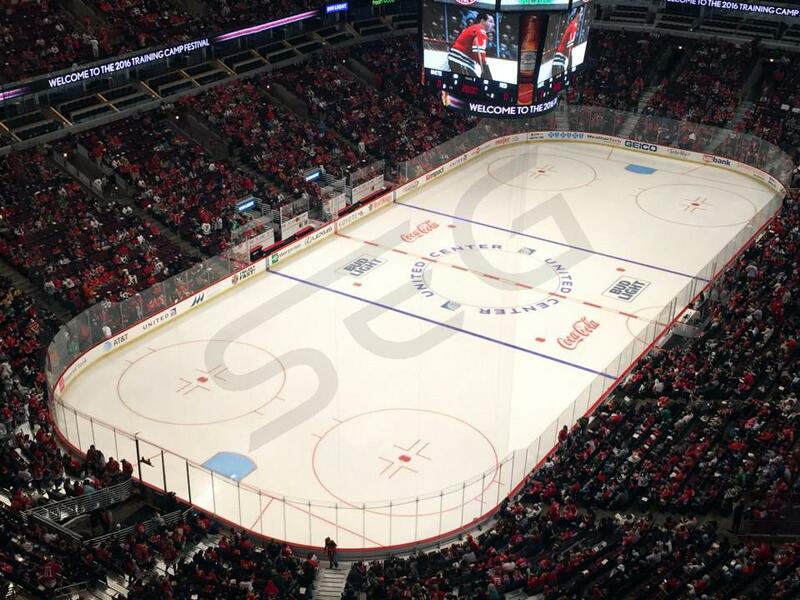 On average, Bulls suites are less expensive than suites for the Chicago Blackhawks. Prices for concerts and other events at the United Center can vary widely based on the type of event. The young Chicago Bulls will look to make some noise in the Eastern Conference during the 2018-19 season. The youth movement is real in Chicago, with Zach LaVine, Lauri Markkanen, and Wendell Carter Jr. leading the charge. The Bulls are also really excited about what youngsters Bobby Portis, Kris Dunn, and Denzel Valentine bring to the table. Head coach Fred Hoiberg has a talented group of the NBA’s most promising young players, hoping to catch teams by surprise in the East this year. Lauri Markkanen had a phenomenal rookie campaign, averaging over 15 points and 7 rebounds per game as a lethal threat from three. His combination of shooting and athleticism make him such an exciting player to watch. Markkanen’s progress towards stardom is something to keep an eye on at United Center in 2019. Rookie Wendell Carter Jr. was drafted in June to be the ideal complement to Markkanen in the Bulls frontcourt. After a dominant Summer League performance, Carter Jr. looks poised to become the next emerging star in Chicago. With Lauri Markkanen and Wendell Carter Jr. the Bulls appear to have their frontcourt of the future. Zach LaVine is one of the most electric scorers and dunkers in the NBA, supplying no shortage of highlight plays that get the fans off their seats. With LaVine and Kris Dunn, two of the main pieces from last year’s Jimmy Butler trade, Chicago has a solid backcourt duo to work with. Dunn proved himself as a legitimate point guard last season after a disastrous rookie year with Minnesota in 2017. And don’t forget about forward Bobby Portis or swingman Denzel Valentine, two of the other young Bulls on the roster. The Chicago Bulls play at Chicago’s United Center, one of the premier venues in sports and entertainment. United Center suites offer the perfect setting to watch Lauri Markkanen and the Chicago Bulls in 2018-19. With VIP parking passes, deluxe catering, and an in-suite attendant, United Center does a phenomenal job servicing its most valued guests. 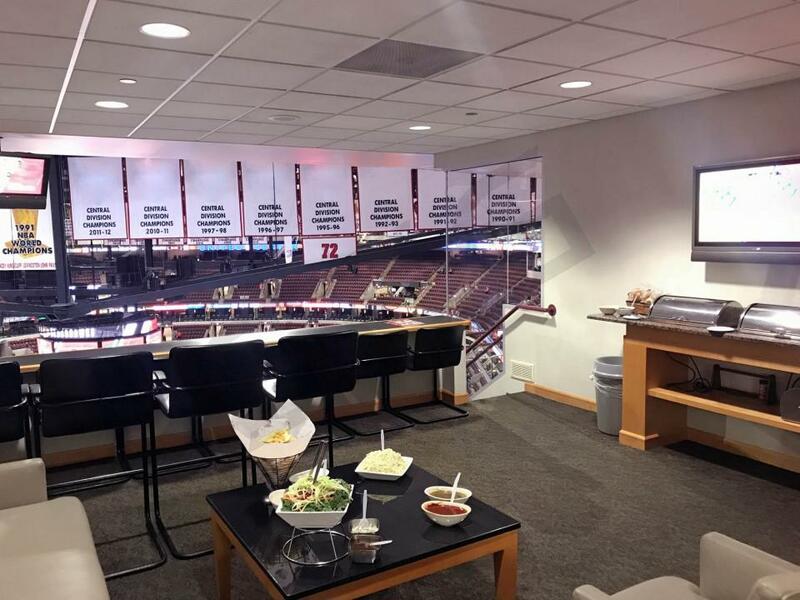 United Center luxury suites are a great way to entertain corporate clients or simply treat your friends and family to a Bulls game. The 2017 Chicago Bulls will be an intriguing and exciting young team to watch. Led by local veteran and future Hall of Fame shooting guard Dwayne Wade, the Bulls will look to once again make their way into the Eastern Conference playoffs. They gave the 1-seed Celtics a scare going up 2-0 in last season's playoffs as an 8-seed, showing that this storied franchise will never play down to expectations. The Bulls appear to finally be staying true to their desire to get "younger" and more "athletic," as they have parted with Jimmy Butler for a new crop of young talent. In a trade with the Minnesota Timberwolves, the Bulls received explosive NBA Dunk Contest champion Zach LaVine, Kris Dunn, and the 7th overall pick, which they used to select Lauri Markkanen out of the University of Arizona. Dunn will look to improve his play and reach his ceiling as a young, athletic guard who excels in transition. LaVine is coming off a torn ACL, but that should not worry Chicago fans too much considering his freak athletic ability and 3-pt shooting (39% before injury). The Bulls will set high expectations for the big man Markkanen going forward, as he the Finnish freshman is another 3-pt specialist who has drawn comparisons to Dirk Nowitzski with his impressive isolation scoring ability. A legendary franchise behind the likes of Michael Jordan, the United Center is always an exciting venue to catch a Bulls game. A Chicago Bulls luxury suite will feature premium in-suite catering options, VIP parking, a dedicated suite attendant, full-service wet bar, HDTVs, upscale furnishing and balcony seating. 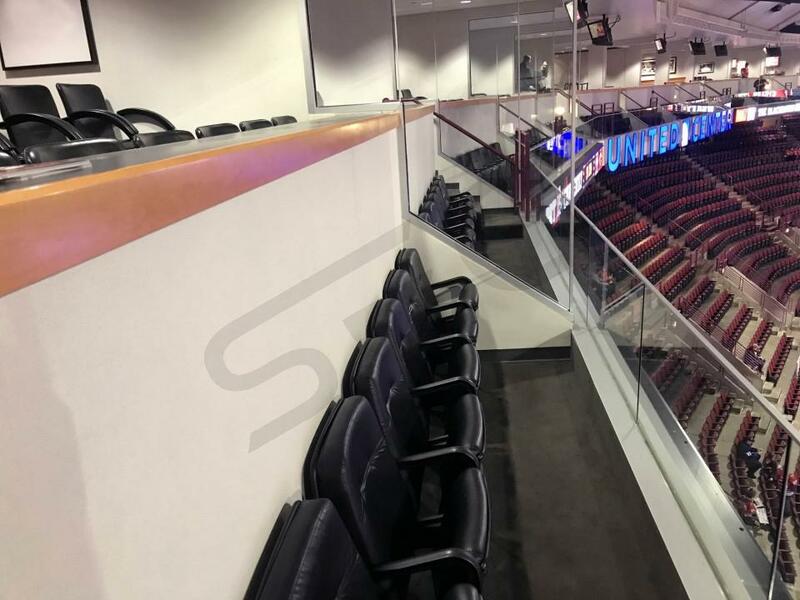 A luxury box at the United Center is a great way to entertain clients or watch a game with friends and family. Along with a suite for the Bulls, you will get to enter the United Center through a private entrance and have exclusive access to the VIP clubs and bars inside. Besides Bulls games, the United Center will be hosting a variety of events including, Bruce Springsteen, Kanye West and Drake and Future Summer Sixteen concert tours. The Chicago Bulls had one of the most interesting offseasons in 2016. After declaring a desire to get “younger” and more “athletic” in the wake of the Derrick Rose and Joakim Noah trades, the Bulls promptly signed aging stars Rajon Rondo and Dwayne Wade. The Dwayne Wade addition makes perfect sense as he is a hometown stud, who has proven to be very effective playing off the ball when LeBron James was in Miami. While Jimmy Butler is no LeBron, he is nonetheless the star of this Bulls team and had a massive breakout campaign last season. Butler’s defensive tenacity, offensive skill and game-breaking athleticism always make the Bulls fun to watch. With Rondo running the offense and D-Wade and Jimmy Butler cutting off the ball, this Bull’s team will feature a very high octane perimeter attack. Along with the three established stars there are a couple young players who the Bulls have high hopes for. The Bulls took playmaking wing Denzel Valentine out of Michigan State in the first round and he adds shooting and high-level passing ability to their crowded backcourt. In the frontcourt the Bulls also have 2014 first-round pick Bobby Portis, who in limited spurts showed a versatile game that should fit very well in a pro-style offense. If the three veteran guards mesh really well on the offensive side of the ball and the Bulls take a significant step forward on the defensive side of the ball, they should compete for one of the top five seeds in the East. The Bulls play at the United Center, also home to the Chicago Blackhawks. A Chicago Bulls luxury suite will feature premium in-suite catering options, VIP parking, a dedicated suite attendant, full-service wet bar, HDTVs, upscale furnishing and balcony seating. A luxury box at the United Center is a great way to entertain clients or watch a game with friends and family. Along with a suite for the Bulls, you will get to enter the United Center through a private entrance and have exclusive access to the VIP clubs and bars inside. Besides Bulls games, the United Center will be hosting a variety of events including, Bruce Springsteen, Kanye West and Drake and Future Summer Sixteen concert tours. The Chicago Bulls will be one of the top teams in the Eastern Conference in 2014-15. The Bulls had a successful offseason by adding Pau Gasol to their mix and picking up first-round draft pick Doug McDermott. The team finished just shy of 50 wins without Derek Rose in their rotation. Rose, a former league MVP will begin the season healthy which will help the Bulls dramatically. Joakim Noah is coming off his best season in the NBA and will once again be a dominant force on the defensive side of the ball. The Bulls have the talent to win the East and should be a top contender for the NBA title this season. A Chicago Bulls luxury suite will feature premium in-suite catering options, VIP parking, a dedicated suite attendant, full-service wet bar, HDTVs, upscale furnishing and premium seating. 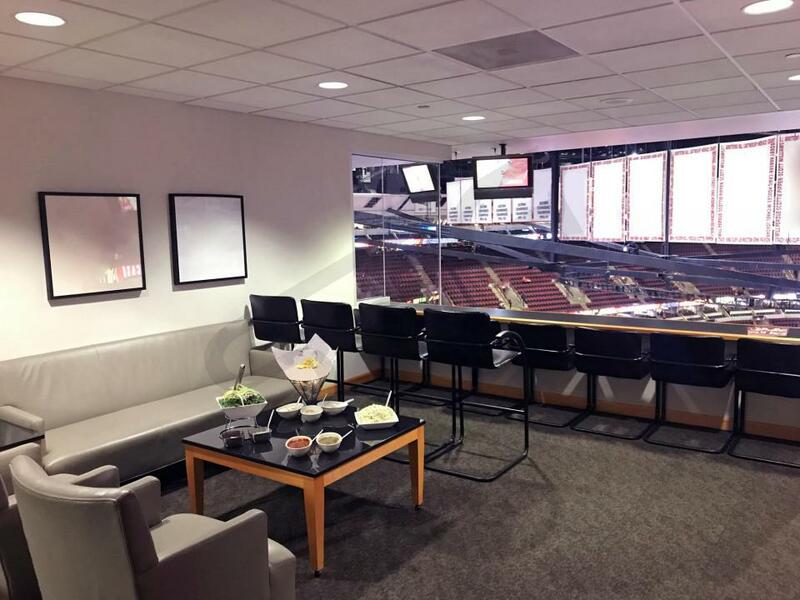 A luxury box at the United Center is a great way to entertain clients or watch a game with friends and family. 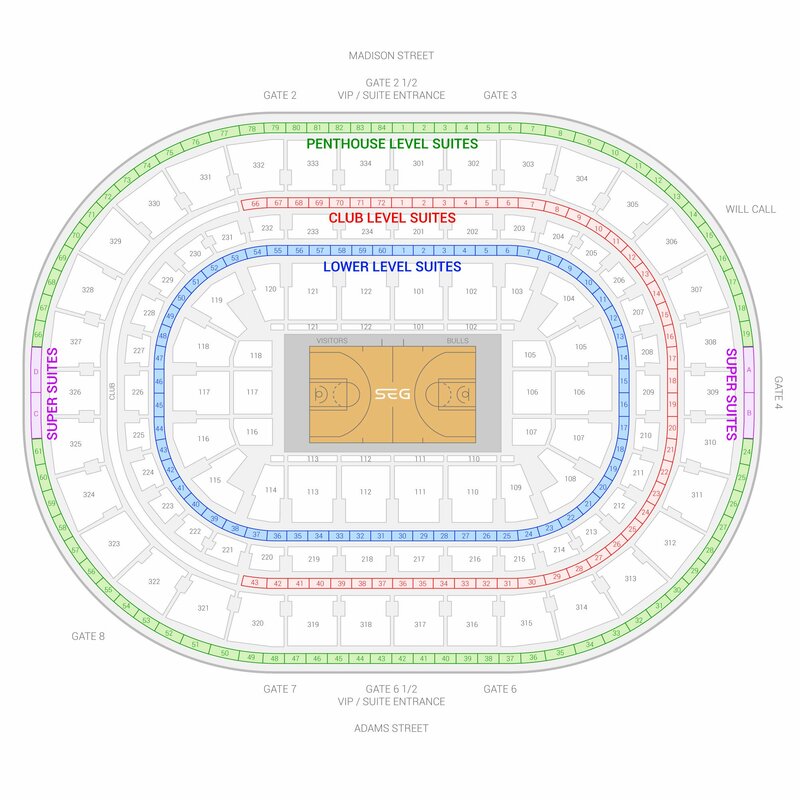 The seating chart below shows where the Chicago Bulls suites at United Center are located.